OUR OTHER FEATURED BOOKS FOR THE COMING WEEK, “COLORADO MANDALA,” BY BRIAN HEFFRON AND “FAIRY AND BLOOD: LILAC,” BY WILLIAM CRISTEL, CAN BE FOUND BY SCROLLING DOWN BELOW THIS POST. THE BOOK: Someone Not Really Her Mother. PUBLISHED IN: 2004 and (newly edited and reissued) 2015. THE AUTHOR: Harriet Scott Chessman. THE EDITOR: M. Allen Cunningham. SUMMARY: This is a story about a woman with Alzheimer’s, and the ways in which her life inspires and influences her daughter and granddaughters. Hannah Pearl is a 75-year-old French woman living in assisted living on the Connecticut Shoreline in the year 2000. Although her daughter and granddaughters live nearby and visit often, Hannah is starting to forget who they are, as memories of her girlhood in France and England erupt into the surface of her American world. Having escaped France at the age of fifteen, as the Germans invaded in 1940, Hannah tries to come to terms with her own continuing life, after her family perished in the camps of Drancy and Auschwitz. This novel is composed of seven tightly interlinked stories. Hannah’s daughter Miranda and American-born granddaughters Fiona and Ida, each hold on to a particular vision of Hannah, whose largely untold life story of love and grief intertwines with and infuses their own. Each family member must negotiate the fraught intricacies of memory and geography, while it is the reader who ultimately discovers and illuminates all the pieces of this dream-like puzzle. THE BACK STORY: After my second novel, Lydia Cassatt Reading the Morning Paper, was published in 2001, I decided to write short stories. I am largely a self-taught writer, and I’ve always loved the short story form – something about its economy, its way of holding a whole world in a compressed space, appeals to me deeply. As I wrote one of these stories, titled “Once, Something” (now the title of the novel’s first chapter), I realized that I might have a larger book on my hands. My character in this short story has lost almost all of her memory, and I started to wonder – well, who IS she? What is she forgetting? This first story, “Once, Something,” found inspiration in my memories of my grandmother, Dorothy Crowder Chessman. Dorothy had been an English teacher, who loved poetry and fiction – a wonderfully intelligent and articulate woman — and it had been poignant to see her losing her memory and starting to wander from her retirement home. Gradually, I realized that the various short stories I was writing could all come together into one novel. It was as if they started to send out tendrils, or filaments, to each other. With a lot of shaping and wrestling, I slowly figured out an architecture to the 7-story design, and within about 2 years I had the whole book complete. One of the most difficult times in this process happened when my editor at Dutton suggested that the story about Ida, one of Hannah’s granddaughters, should be told from Ida’s point of view, and not from the point of view of Ida’s professor’s little girl Dulcie. I had been looking at Ida from the outside, and my editor felt sure that Ida was actually the heart and soul of this novel, and should be brought in more directly. It took me a few months of new writing, and I was really happy with the result. My editor had been 100% right! Ida is the poet of the book, just like the young Hannah, and she is the one who continues Hannah’s legacy most vividly. I like this title, Someone Not Really Her Mother, yet it’s funny how difficult it is for my readers to remember! Maybe this is appropriate somehow, given the subject of Alzheimer’s (! ), but it was certainly not intentional. WHY WOULD SOMEONE WANT TO READ IT? As far as I know, Someone Not Really Her Mother is one of the few novels in which a majority of the story is told from the point of view of a person with Alzheimer’s. I gather that for many readers, I have given them insight into how it might feel, to lose short-term memory and to feel puzzled by earlier memories rising up and erupting into the surface of one’s life. 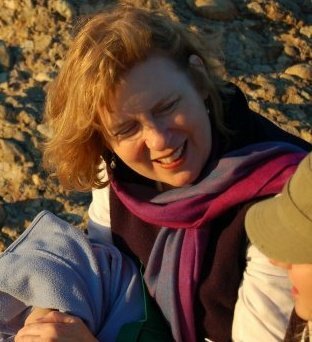 AUTHOR PROFILE: “I am a writer who came to writing as a second career – something that, I think, has given me a balanced sense of this crazy world of publishing, and has helped me cherish each chance I have had to write and to connect with my readers. My first career was as an English professor at Yale University. Once I stepped (or fell!) off the tenure ladder at Yale, my world opened up in a new way, as I discovered that if I could be patient, stories would come to me — or maybe stories had always come to me, but I had been too immersed in other things to be able to listen. My first publisher, Permanent Press, took a chance on my debut novel, Ohio Angels, in 1999, and then published my 2nd novel, Lydia Cassatt Reading the Morning Paper, in a beautifully designed format, with five full-color illustrations of paintings by Mary Cassatt (2001). Lydia gained wonderful distribution, first through Seven Stories Press, and then through Plume, who brought it out in paperback. Dutton/Plume also published my 3rd novel, Someone Not Really Her Mother (2004), while a new independent press – Atelier26 Books – brought out my most recent novel, The Beauty of Ordinary Things, in 2013. I have been lucky with the reception of all of my fiction, which has been translated into 10 languages. Lydia became a #1 Indie Next pick; Someone became a Good Morning America choice and a Best Book of the San Francisco Chronicle. It has been a great joy and honor to discover an enthusiastic readership, and I hope to continue writing fiction for many years to come. AUTHOR COMMENTS: “I always hope in my fiction to achieve some insight into people, and into the world – a sense of compassion for my characters’ lives. I think it’s so important to help people connect emotionally with each other, and with themselves. In this sense, voice and character are the two elements that most inspire me, and lead the way as I figure out each of my novels. “I often write about people facing a great difficulty – infertility, grave illness, grief, trauma – and about the power of love and art, to help a person find a path forward. “I realize, looking back, that my fiction has always had a contemplative and spiritual element, folded within itself. It is possibly this contemplative bent that helped me discover my character Sister Clare, a Benedictine nun, in The Beauty of Ordinary Things. All of my characters are contemplatives at some level. This is not something I planned! It must simply come out of my own character and yearnings. LOCAL OUTLETS: This title should become available soon through any independent bookstore. Of course, it’s also available on Amazon, and at Powell’s, Barnes and Noble, and other spots. Hello Darrell, Thank you so much for including me as a Snowflake this week! 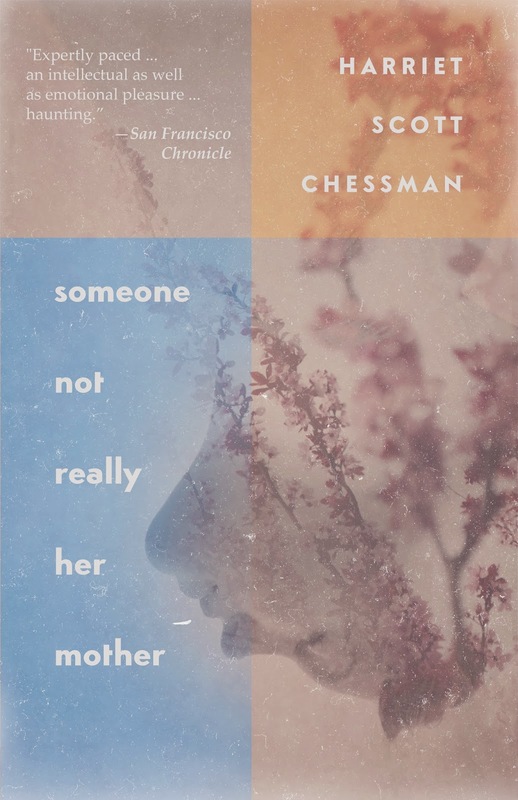 One wish: I would be grateful if you could change the image of my novel Someone Not Really Her Mother to the new one, from the 2015 reissue (Atelier26 Books)? This new design is quite beautiful, and the book has been freshly edited.